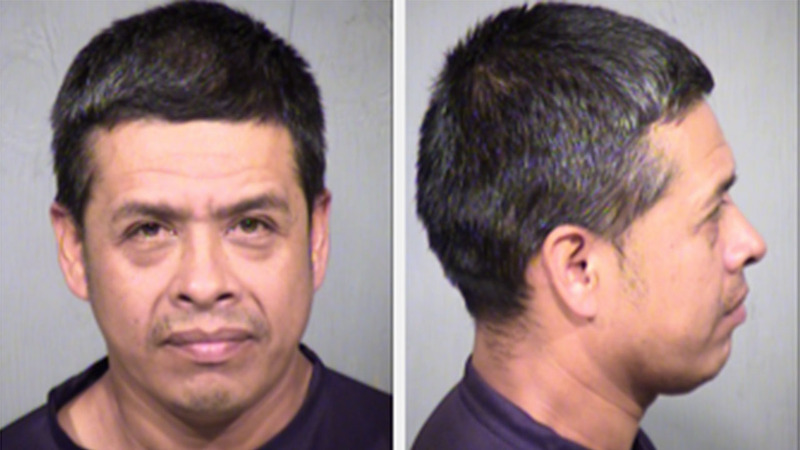 PHOENIX, AZ (KTRK) -- Police in Phoenix say man who shot a woman during an apparent robbery attempt on Saturday went too far and now he's behind bars, accused of aggravated assault and a weapons charge. Authorities say Pedro Sales, 41, called police around 5am on Saturday claiming he caught a woman stealing construction equipment from his work vehicle. Sales told police he fired in the air several times, which scared her away, but Sales gave chase and fired on her again, hitting her a least once. ABC15-TV in Arizona reports a neighbor said he heard gunshots and someone screaming, "I'm sorry, I'm sorry." The station reports the man said he thought it was a young child yelling at first, but it was actually a woman who was hiding. Police say Sales picked up the things the woman had allegedly stolen, told police what happened, and went home. After an investigation, police concluded Sales "exceeded the justifications of defending his premise and property," The Arizona Republic reported. At last check, Sales was behind bars. Police have not identified the woman who was shot. She is expected to be OK, and charges in her case remain pending, according to police.